The goal of MusicLIVE Choir is to expose children of all ages and backgrounds to the joy of singing and music making. 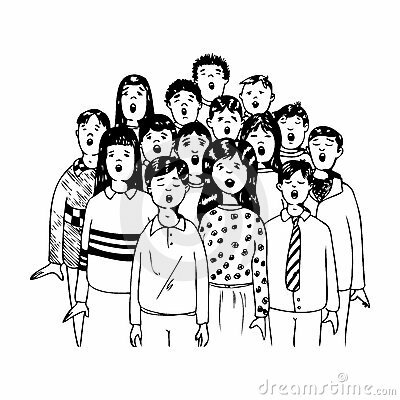 Children will be given the skills necessary to use their voices in a healthy way and to experience the excitement of singing in a chorus. Musical skills will be taught through the use of songs drawn from a variety of musical styles and cultures with a focus on folk songs and other pieces written specifically for children’s voices. Participation in this program is designed to help develop confident students who are impassioned and empowered through the experience of singing and being part of a musical organization. Choir practices are held once a week after school, and each semester ends with a performance for family and friends. Space is limited to 24 students per class. Enrollment is on a first come, first serve basis. Once the class size limit is reached, interested students will be added to a waiting list and notified if a space becomes available before the 1st week of classes. New students are accepted at the beginning of each semester, and previously wait listed students will receive priority over new students. ​PLEASE NOTE: we do not offer trial classes for students and all sales are final unless a course has been cancelled due to lack of enrollment. Children love to sing! Our junior choir class helps children learn proper vocal technique while singing rounds, folk songs and other fun material. Tuition for junior choir is $148 per 13 week session. This includes all materials and a performance at the end of each session. This choir class takes lessons learned from our junior series and further develops young voices utilizing more sophisticated vocal techniques and musical styles. Tuition for upper elementary choir is $148 per 13 week session. This includes all materials and a performance at the end of each session. Please note - this class is pending based on enrollment numbers. Please encourage your friends to join! Full tuition will be refunded to enrolled students if they class does not reach enrollment minimum.